Saving money on your energy bills is important for everyone. One of the best ways to do this is by choosing LED light bulbs for your business for a number of reasons. LED lighting uses less energy, lasts a lot longer than traditional lighting and are also environmentally friendly. LED lighting lasts longer than that of traditional bulbs. On average, a traditional light bulb has a lifespan of between 1200 and 8000 hours, whereas LED lighting lasts approximately 50,000 hours. This means that opting for LED lighting can last decades and is a perfect option for your business. To get the same amount of energy out of traditional lighting you would have to buy around 6 traditional bulbs for every 1 LED bulb, though it would not be economically friendly in comparison. In the current energy climate, the costs of electricity are continuing to increase. That being said, the cost factor of energy, in particular, electricity, is becoming ever pertinent. As LED Lighting lasts longer, fewer bulbs need to be replaced. 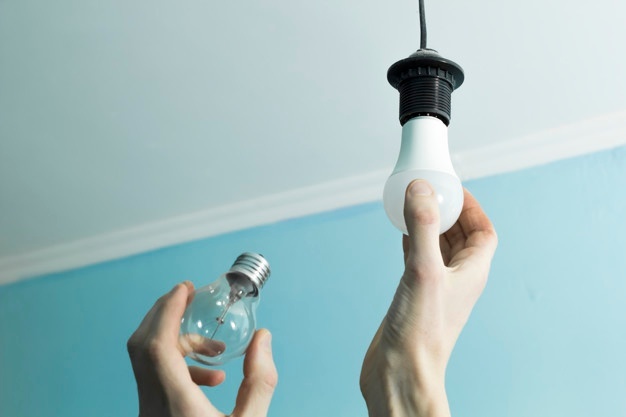 Saving money on bulb purchases isn’t the only way they are the most cost-effective option. By having energy-efficient LED light bulbs installed, costs can be reduced by up to 90% and generate significant savings. Do you require a lighting upgrade? If you are interested in saving money on your lighting and would like to discuss your LED options, give us a call on 01482 618369 and speak to an experienced, qualified Electrical Contractor. Alternatively, drop us a line and we’ll get back to you as soon as possible.